Ready to gift with a box, ribbon, and custom gift card, the Merry & Bright Facial Gift Set includes a full size Brand New Day Scrub and Masque, 1.5 oz glass amber jar of Raw Organic Honey (a natural beauty all-star), Love Springs Eternal Youth Preservation Serum (travel size), and a white porcelain treatment bowl and a professional treatment brush. This lineup makes for a pampering treat with practical application. Talk about little luxuries that turn into necessities! The Brand New Day Scrub is one of the best exfoliators. It has that fine, micro scrub action I crave that cleans every bit of dead skin and dirt from your pores. It’s gentle enough for frequent use and leaves your face feeling perfectly polished. Paired with the raw honey, you get gorgeous hydrating treatment mask. Follow up with a few drops of Love Springs Eternal Youth Preservation Serum for brightened, glowing skin. Perhaps your BFF will share her gift for an evening of face masks and wine, tea, or whatever it is you love to do together! The Mama’s Ritual Gift Set from Zoe Organics is a dreamy treat of pure relaxation. 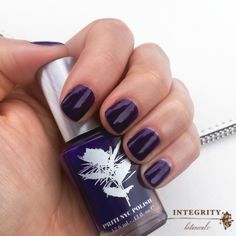 Sure to bring calm to the most frenzied mind, the Aromatherapy Oil can be stashed in a purse, pocket, or bedside — anywhere for easy retrieval at moments when you need to disrupt stress or just unwind. A blend of organic lavender, bergamot, geranium, sandalwood, and blue chamomile bring stress to a hault. Want to cast a relaxed vibe across a room? The Mama’s Ritual Aromatherapy Candle purifies the air and helps elevate your mood with its honey-floral scent. The Mama’s Ritual Bath Soak is the icing on the cake. A powerful blend of therapeutic oils and epsom salt eases muscle tension and helps anxiety melt away. Trust me, moms of all kinds will love this set, so think broadly here. Shopping for a dog mom? Step mom? Mom with grown kids? Once a mother, always a mother, and all mothers will appreciate the Mama’s Ritual Set. Sisters know best, right? Give yours one of the most potent natural skin care routines she could ask for. 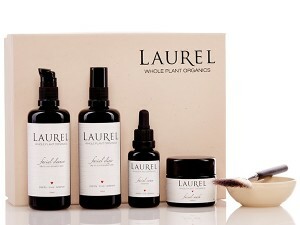 The Laurel Whole Plant Organics Gift Set includes a full-sized Cleanser, Elixir, Serum, and Mask. Choose between the three options — there’s one for normal/dry/mature skin, another for oily/combination skin, and a Gentle Gift Set for sensitive skin. Each set is packaged in a handmade paper stock box adorned with Laurel’s logo and wrapped with silk organza ribbon. The kits also include a handcrafted dish and vegan brush with a dark walnut handle, making it easy to mix and apply Laurel’s delicate powder masks. 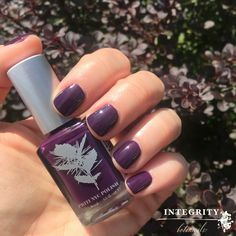 Everything Laurel makes is brimming with healing herbal extracts and nourishing botanical ingredients that have been sourced carefully, primarily from local organics farms. 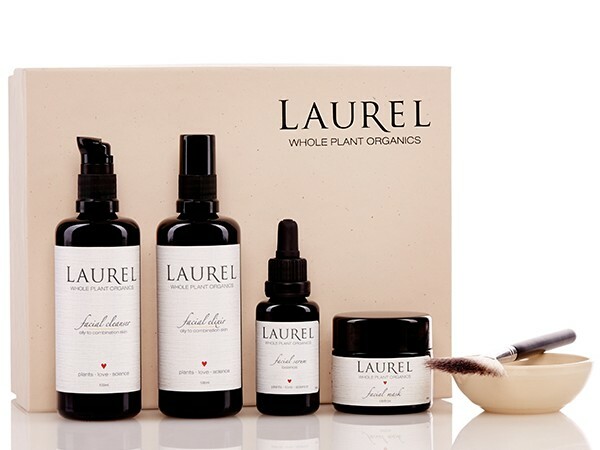 Laurel products are hand crafted with love and plant wisdom, resulting in superior all natural products that are a pleasure to use. You’ve been wondering all year what you’re going to give the most important woman in your life. It must be something that makes her feel as gorgeous and special as she is. Strange Invisible Perfume is the answer. Let me tell you, if I opened a gift to find a perfume of this caliber and beauty in my hands, I would feel pretty loved and understood. Overstatement? Not when you’ve experienced Strange Invisible Perfumes. Each fragrance is formulated with certified organic, wildcrafted, biodynamic, and hydro-distilled essences. Limited batches are hand-blended and set into a base of custom-distilled esprit de Cognac, then aged for a minimum of six months. All Strange Invisible Perfumes are completely botanical and unfiltered. They are decanted and bottled in Venice, California. Each fragrance is unique and stunning, a far cry from the pre-fab noxious perfumes found at most department stores. A great place to start is with Prima Ballerina. I fell in love with a sample I received and keep the empty bottle around just to smell it again from time to time. This feminine scent is a bright, satiny blend of rose, white sage, lime, and botanical musk. Memorable and moving, just like the women who wear it. 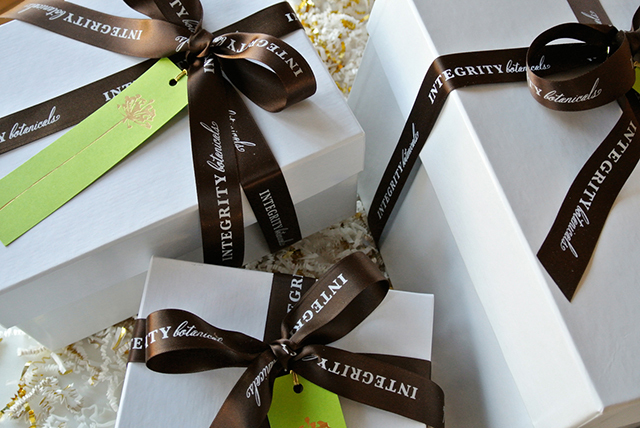 Integrity Botanicals offers gift wrapping! 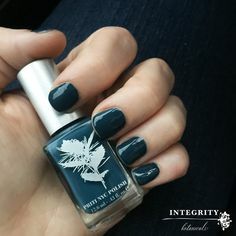 Let them help you make a gorgeous statement this holiday season.